While you flash the Lenovo a850.You got a problem and complete dead. Here is the final solution.Just download this and enjoy. First battery must be fully charged. 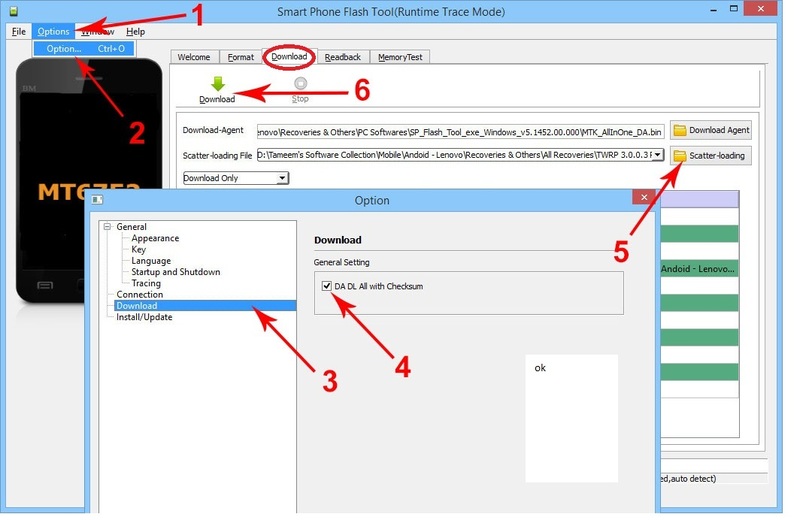 Open sp flash tool always use latest version. Dont`t forget to tick’ DA/DL All with checksum’. Go To SP Tools Option / Download / Just Click DA/DL All With Checksum. To avoid error after complete firmware download. => TOOL DL image Fail ! => uboot is blocking by dl info. Here is the firmware lenovo a850 recover firmware.